It’s tough to balance the conflicting responsibilities of our work and personal lives. Maybe it’s because we’re exhausted, but we all waste time. I’ll identify 7 time-wasters that contribute to work-life imbalance In this quick 2-minute video, I’ll discuss 7 time-wasters that contribute to work-life imbalance AND can lead to burnout. Many people view the New Year as a time for new (or renewed) commitments. I have also found that just as many view the changing of the calendar as just another day. Is one view better than the other? What if there was a third way to view the start of a new year? What if we could look at every day as a new beginning – regardless of the date on the calendar? As anyone who has ever been a member of a health club will tell you, the first few weeks of January are filled with people who have “finally” decided to get in shape. Unfortunately, this causes only a temporary problem with delays and waiting for machines because all of these new year’s athletes’ staunch resolutions to “finally” do it have…well, vanished by February. I also know clients, colleagues, and friends who believe that the New Year is really just another day. “Nothing new to look forward to – just the same old, same old.” Unlike the New Year’s athletes, their resolve to do something new often vanished long before January 1st. Very different perspectives yet, in both of these cases, there is a common theme: a nagging unhappiness. Maybe it is the belief that something in our lives is wrong. Maybe it is a fear that we have no control over our lives. Maybe it is an anger that our current lives are not what we had anticipated or hoped for. Henry David Thoreau’s observation that most of us “live lives of quiet desperation and go to the grave with the song still in [us]” is uncomfortably familiar. But what if we instead recognized that every day (and every individual moment within each day) is brand new? That every day has never happened before…and will never happen again? 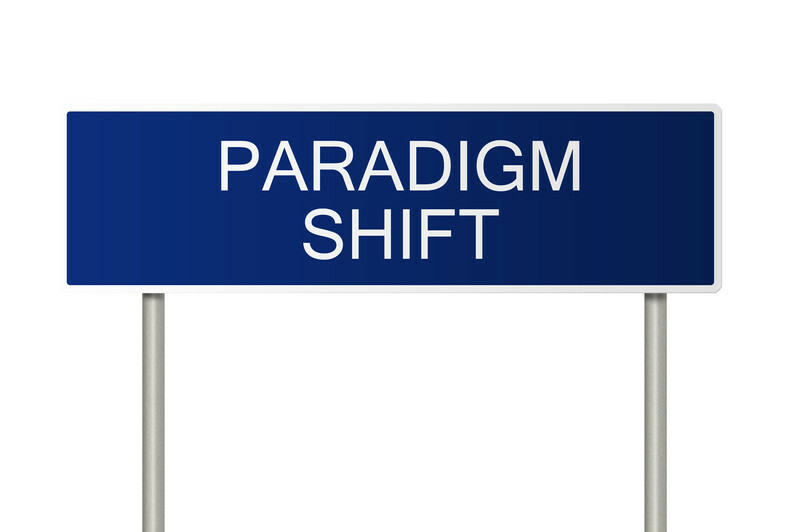 How would this paradigm shift change life as we know it? While I agree that the New Year can be a “good” time to “finally” take action on that which we want to achieve, why limit ourselves to only one day in the year? For both the New Year’s athlete whose resolution starts out strong then fades away and the person whose life is one of monotony without change, it may mean the beginning of the end to the unhappiness and dissatisfaction that we feel. Let go of the past. Easier said than done, but all of those “wouldas,” “couldas,” and “shouldas” are powerful “guilty glues” that feed our fears of wanting and doing something more. To let go of the past, we need to remind ourselves that we are NOT our pasts. The amazing thing about humans is that we have an innate capacity to change and adapt. The paradox is that we are often afraid of those changes due to an unending litany of “what ifs” that prevents us from moving forward. Learn from the past – but remember that this is valuable hindsight and not necessarily inescapable foresight. Just because it happened before doesn’t necessarily mean that it is inevitable now. This is true for both victories and failures. The consistent practice of self-reflection helps us to recognize patterns so that we can avoid repeating past mistakes or proactively replicate the factors that contributed to past successes. Take three deep breaths and just do it! Nike was on to something when they branded themselves with those three little words. Yes, we’re all afraid of what might happen! Yes, it is inevitable that there will be surprises along the road! And, yes, we might even decide to change our destination! But not doing something empowers our minds to weave powerful, self-righteous “what if” fictions that rationalize and reinforce the “guilty glues” that are keeping us stuck and unhappy. So what if we fail? Most failures are NOT – I repeat, NOT! – the end of the world. Failures lie on a continuum from minor upsets to life-threatening catastrophes. What’s fascinating is that the same “failure” can be viewed as earth-shattering by one person, but only a minor pain to another. Our perceptions create our realities. Success has never been and will never be a linear path. Many people who ultimately succeed often admit that they have “failed” their way to success. They learn from the past. They don’t let their pasts define their futures. And they don’t wait to make the necessary changes in their lives based on a date on the calendar. I hope that every day in this New Year can be a new start and an awakening for you. Happy New Year! It has been said that “life is what happens when you’re planning something else.” Our responses to these unwanted, unexpected, or “unfair” situations are the determining factors of how our lives will continue after these situations eventually end. These responses are more profound than the simple choice between optimism and pessimism. Instead, our responses to any situation reveal our “go to” reaction to the inevitable challenges that life throws in our paths. Do we persevere, seek revenge, or retreat from the situation? Whenever life throws a curve ball, we are blessed with the innate power to control how we perceive it and respond to it. Really. Over the past 6 weeks, I was deep in the demands of being the executrix of my father’s estate. For what appears to be unfathomable reasons to “everyone,” selling his house (the primary asset of his estate) was fraught with difficulties, lies, and unethical treatment by the professionals with whom I entrusted the marketing of this property. But, more importantly, these challenges caused me to scrutinize my reactions to this enormous and prolonged challenge (he passed in May 2014) that life had thrown in my path. My responses ranged from high hopes and confidence in the predictions that it would be a very quick sale to frustration, anger, and (ultimately) apathy toward the entire process. The problem was that I couldn’t simply walk away from it. The house had to be sold in order to get out from under the surprisingly high costs of maintaining it. I am a firm believer that there is a higher truth attached to everything that happens to us. Each person and event in our lives ultimately provides us with opportunities to learn the lessons that we need in order to move beyond them and go forward toward our destinies. Since my descending emotions mirrored those that lead to burnout (see my Burnout During Organizational Change [or B-DOC] Model), I was well aware that I had to develop a proactive response to these challenges. In order to avoid a full-blown, long-lasting, emotionally and physically debilitating burnout, I had to take stock of not only what was happening but also how I was interpreting it. What I discovered is that when life throws the inevitable lemons onto our paths, we have the choice to respond with lemons, lemonade, or lemon drops. The Lemon Attitude: Lemons are valuable ingredients to bring acid and brightness to a recipe. The lemons that life tosses onto our paths have the potential to do the same: to bring brightness and clarity from a tart and challenging situation. But responding to life’s challenges with a lemon-based attitude throws additional acid onto the situation. It simply sours the entire experience by responding with pessimism and negativity. A lemon-based response keeps us focused on the tart acidity of the challenge. Lemons blind us to the complete circumstances of the problem by reinforcing our frustration and anger. Lemons focus on devising diabolical ways to “get back” at that which is causing our distress. Just like too many lemons in a recipe can cause the dish to be inedible, responding to life’s challenges with a “lemon attitude” overshadows all the other aspects or “ingredients” of the problem — aspects that can be transformed into a more positive outcome. The Lemon Drop Attitude: Lemon drops are a very popular alcoholic drink – since they taste good, we might end up drinking a little (or a lot) more than we should. The result is that we escape and “forget” for at least a little while. The result, however, is the same: we do nothing. But we erroneously rationalize our lack of action as evidence of our “patience” — when, in fact, it is the result of fear or exhaustion. And, despite our attempts to “escape” the problem, it gnaws away at us in both our waking and sleeping hours. While there is a time in every prolonged challenge to take some “time off,” I personally believe that the amount of time has to be limited. Otherwise, it can easily become a self-defeating habit: ignoring a problem will never lead to the results that we desire. The Lemonade Attitude: We’ve all heard the old adage of turning lemons into lemonade when life throws challenges at you. It’s a lot easier to do when the problem isn’t big, prolonged, and financially or emotionally destabilizing. But this change in our perception of the problem is the only way to proactively address it. We summon the courage to face our own fears that caused us to perceive the situation as a challenge in the first place. After all, our perception is our reality. The lemonade attitude is not a vacant affirmation that “everything is going to be all right.” The lemonade attitude requires courage, self-understanding, and a belief that there IS a way out of this debacle (but we just haven’t discovered it yet). 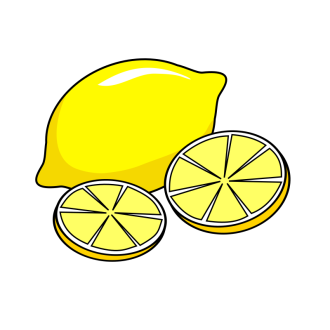 The recipe for lemonade is quite simple: lemons, water, and sugar – but they have to be in the right balance. Adding the right amount of sweetness or positivity to our perception of the situation is what transforms the tartness of the challenge into something that is not only drinkable, but can also be enjoyable. The foundation of my personal belief system is based on life-long learning – not just in the “book” sense, but also in the more esoteric realm of self-knowledge, self-acceptance, and self-growth. It is not an empty “feel good” affirmation, but an energizing “live good” journey. At no time in my life was this belief system more challenged than in the past 18 months following my father’s death. I am glad to say that the house sold at the end of October and I am in the last steps before closing the estate. It was a difficult, challenging experience but one for which I will be eternally grateful. It challenged my beliefs and I came out stronger than I was before. Life’s lemons are inevitable. Will you respond with more lemons, mind-numbing lemon drops, or a revitalizing lemonade? Last October, I was thrilled to be a keynote speaker in Jeanell Innerarity’s Kiss Burnout Goodbye Virtual Summit. I thought that you might want to listen to our interview: in it, we discuss how people burn out, how to overcome burnout, and even talk about “laughter yoga.” And, yes, there is a Q&A at the end! I spoke with Jeanell this summer and am also pleased that we’ll be contributing content to each other’s blogs over the next few months. She is a practitioner, teacher, and researcher in the field of somatic and mind-body arts, as well as a yoga instructor and reflexologist. Our complementary practices strive to finally reduce the stress and eliminate burnout in today’s hyperactive, constantly changing world. Please check out Jeanell’s website at www.jeanellinnerarity.com. NOTE: There were a few audio problems in the middle of the broadcast, but they were quickly resolved. I’ve also provided the audio podcast if you’d like to listen without any visuals. 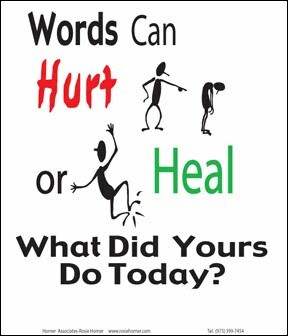 No one would argue that words can be very powerful. Not only do they convey our feelings and beliefs, but they can also motivate or demotivate not only ourselves but also others around us. But a strange phenomenon sometimes happens when we talk to ourselves. While self-talk can be used as a way to empower and motivate ourselves to go after that which we want in life, it is an empowering way of talking to ourselves that (for some equally strange reason) must often be learned. In sharp contrast is the negative self-talk that operates unconsciously deep in our psyches. This endless loop of guilt, condemnation, resentment, and anger is a powerful influence on the actions we take (or don’t take), as well as our feelings about the resulting outcomes (either positive or negative). Ironically, the types of comments and opinions that would enrage us if said to us by someone else are often repeated in our private negative self-talk loops. Although frequently not acknowledged in our conscious minds, these comments continue unabated as absolute truths as to who we are, what we do, and what we want. While we can learn to ignore unwarranted criticism from others, our unconscious negative self-talk is even more damaging to our psyches. Why? Because the reality that we experience is colored by our perceptions – if our self-talk is negative, then our perception of the world and our role within it will also be negative. More powerful than the words spoken to us by others, negative self-talk internally motivates us to act in either proactive or reactive ways. As Earl Nightingale said, “We are what we think about.” But the behavioral impact of our words is often ignored, diminished, or accepted as undeniable truths that define who we are even if it is not who we want to be. We tell ourselves what we should do (even though it might not even be something that we are interested in doing) – then berate ourselves when we don’t do it. We second-guess our choices and decisions – then imagine a more perfect world if we had taken another course of action. We “make nice” by doing things that we really don’t want to do (or even have the time to do) – then feel guilty or angry because we have no time to do the things that we really want to do. We take on too many responsibilities as well as the problems of others – then wonder why we are so exhausted and burned out. The more negative our self-talk, the more harshly we judge the difference that we perceive between where we are and where we want to be (or where we told ourselves we should have been). The damage to our psyches can be chronic, acute, and difficult to overcome. Our negative self-talk is a powerful contributor to not only burning out, but also to staying burned out. Because these negative self-talk loops frequently exist on the subconscious level, we must actively attempt to bring them to the conscious level – their power over us grows in proportion to our attempts to ignore them. But, once these statements are expressed, we are rightly shocked by the venom in the words that we have used to identify and define ourselves. By acknowledging and verbalizing these negative subconscious judgments, we can consciously begin to exchange them for proactive alternatives: words expressing acceptance, kindness, and compassion toward ourselves. Say “NO” to condemning ourselves if our current situation is not what we had expected. Instead, replace it by accepting that what we previously wanted has changed OR that our mistakes have simply shown us what didn’t work (thus giving us a new launching point for future action). Say “NO” to the unrelenting “should’s” of perfectionism. Instead, replace it by acknowledging that we are doing the best that we can with the resources that we have OR that our goals may have been unrealistic given the circumstances (thus helping us to better learn how to set realistic yet inspirational stretch goals). Say “NO” to misguided attempts at trying to change others. Instead, replace it by remembering that we only have the responsibility to change ourselves OR by being grateful for the positive qualities of those who we are trying to change (no matter how badly they treated us, every human being has something about them that is positive). Say “NO” to our barely controlled feelings of burnout-related frustration, anger, and apathy. Instead, replace it by finding safe ways to express, vent, and release these feelings AND develop new phrases that are proactive and nurturing. Saying “NO” to our negative self-talk is both an acknowledgement and a choice. Saying “NO” helps us to reclaim our power. Saying “NO” can truly be a positive expression of our own self-worth. “NO” is one of the tiniest words in the English language – yet our ability to say “NO” to negative self-talk can transform our lives. Saying “NO” enables us to say “YES” to being kind to ourselves. Isn’t it time that we start treating ourselves the way that we would want others to treat us? P.S. : To learn more about the self-talk of burnout, please watch my mini-webinar by clicking here. Andy Warhol stated that everyone will experience at least 15 minutes of fame. The scope and reach of that fame might be different, but everyone will be in the limelight at least once in their lives. The problem occurs when we cling tightly to our previous “moment in the sun” – and forget that yesterday is NOT today. Whew – no wonder we feel overwhelmed by the information overload in our lives! And no wonder many of us don’t even remember a lot of what we see, read, or even do. The old cliché of “time marches on” has never been more apparent than today. Instead of marching, time seems to be running a never-ending sprint, constantly moving faster as we leave things behind. So, even though we may remember the exact details of our past victories and successes, others will generally remember (at the most) just the highlights of our successes – and vice versa. We have become a society that forgets. While this might be depressing to some, I believe that this creates an opportunity for us to continuously re-invent ourselves. Instead of resting on our past laurels, we are presented with unlimited possibilities to create something new in our lives. Dwelling in the “glory days” of our past prevents us from moving forward. As we learn more, grow more, and experience more, the types of successes that we can create ultimately expand well beyond what we were capable of in the past. If we’re dwelling in the past, we can’t be fully present in the now. Artists and musicians have always been aware of this fact. The curse of the “one hit wonder” is something that successful artists often use to fuel their creative drive so that they will be the ones who beat the curse and have a lasting body of work. Why don’t more people in business embrace this perspective? Is business really so different from the arts? Throughout my years in business and working with clients, I have found that it is all too easy to get “stuck” in one’s past triumphs. Change resistance is rampant. Just like the old joke about the size of the fish that keeps growing when compared with others, many business successes are glorified – even though important details and preliminary sequences are lost in the re-telling. For example, I knew a financial planner who boasted that he held the record for the highest one day sale in the company’s history. Pretty impressive. However, he conveniently omitted that he had worked on closing that sale for a solid year before the deal was signed. He didn’t do it one day. And he never again met (let alone exceeded) that triumph. By looking at each day as a new opportunity to grow and learn, we can appreciate our past successes as the fuel that helps us move forward to something even better. It might not exceed the previous dollar amount or be completed as fast or even achieve the same level of notoriety and awe. But it can be something new that we have never before achieved – and that is personal growth and success. Due to the revolving door found in many corporations, our professional lives are really comprised of a series of gigs that create not only our careers, but also our professional legacies. Gone are the days when we are hired right out of college, receive consistent promotions, a corner office, and a fully funded pension when we retire. Just like the actor will play many different roles in many different venues, we, too, will have different jobs with different employers that are often in different industries. And, just like the actor, we will have both triumphs and failures. But the successful move forward and move on. What about you? Are you dwelling in your past successes – or looking forward to how you can excel based on what you have learned and who you are right now? After all, to others, you are only as good as your last gig. Why I Hate Labels: Are We “Should-ing” Ourselves Into Burnout? Labels. They’re great for organizing things in our homes and offices. They’re even great refrigerator reminders to jog our memories. But when labels are used as boundaries that keep us within prescribed limitations, they’re lethal to our ability to move forward. These labels tell us what we “should” do based on preconceived notions of what others think about who we are and what we can become. When we buy into these limiting labels, we relinquish our sense of self. Labels – particularly when they have been placed upon us by people whom we love or respect – can become so embedded in our brains and psyches that we feel guilty if we try to step outside of them. While many labels that define prejudice and discrimination have been discouraged through laws and regulations, the most dangerous labels to our ability to succeed are those which we place upon ourselves. When we have a strong sense of self and a true understanding of who we are and what we stand for, we are much better able to remove the “glue” from the labels that others try to stick on us. But it’s not easy. The problem is that many of the labels that we use to define ourselves (consciously or unconsciously) are not the result of recent experiences – or even our interpretations of those experiences. Instead, they are the result of what other people have told us about who they think that we are and, as a result, what we can become. For example, how many of these labels have crossed your mind in response to different challenges? Just like pulling off a bandage, pulling off a label can be just as painful. By saying that the label no longer applies to us, we automatically have to say that what other people told us is wrong. If the label came from our parents, family, friends, or even an admired boss or co-worker, the act of removing the label from our psyches actually changes our relationship with that person. Consider the labels that society and families placed on women in the Baby Boomer generation. An “acceptable” job (which you only kept until you were married) was generally a teacher, nurse, or secretary/administrative assistant. Anything else was “shocking.” Although other women were in different careers, they were the exception and not the norm – and you were told that you weren’t one of them. Although Boomers pushed back and opened the doors for women to enter any career, it was not without a great deal of anxiety and second-guessing. Working women were directly or indirectly criticized for either not having children or for “deserting” their children when they were at work. The “glass ceiling” surreptitiously appeared in corporations – although women could see the higher level jobs within the organization, they were effectively barred from moving into them. Pregnant women were often forced to quit their jobs due to their “unseemly” situation – a practice which led to the Pregnancy Discrimination Act. But even today, there are countless cases of sexual harassment against women when they enter into fields that have been traditionally male dominated – and often times the women never file complaints against their harassers. While these pioneering Boomer women pushed through these doors, many privately expressed doubts and concerns as to the “wisdom” of their decisions. Although they loved their jobs and excelled in them, a nagging voice inside their heads often made them question their choices – particularly when others were nonsupportive or blatantly accusatory. With doubt often comes guilt and, with guilt, comes anxiety. When anxiety couples with unmet expectations of what “should” have been the result of a decision, the result is burnout. Labels only appear to be permanent but, in reality, the glue that sticks them to our consciousness is only temporary. Instead of affixed with super glue, we have the power to change that adhesive to one that is used on the little yellow stickies of Post-It™ notes. When we permit ourselves to continue to hold on to the label that someone else gave us, we essentially relinquish our control to someone else’s judgments of who we are and what we can become. To move forward, we have to let go. If we believe that the glue of a negative or unproductive label is permanent, then it will be permanent. Why? Because we become who we believe we are. I hope that these tips help you to stop “should-ing” yourself into the über stress of burnout. Let me know if these ideas worked for you!